This Friday out came the Mince Pies and the Mulled Ginger Wine. Off I went cutting out my squares. 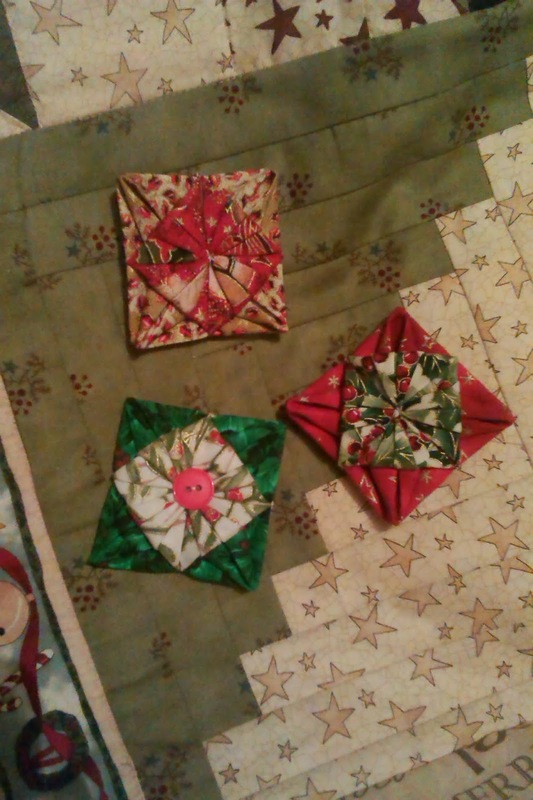 I had decided to do a few more Origami Christmas Decorations. I'm going to use them as tags on the gifts for my crafty friends. I have done a few more now so I have quite a few. Oh I love mince pies, I have eaten way too many already. Your decorations are so sweet. Beautiful origami ornaments, I'm sure your friends will enjoy them.